For Manhattan-based pianist-composer Michael Brown, a mid-January residency at Copland House was the perfect getaway--a golden opportunity to study, practice, and compose without distraction in the bucolic setting of New York State’s Lower Hudson Valley, honing his art and creating music in the same room that once served as the legendary Aaron Copland’s studio. Lincoln Center for the Performing Arts has named pianist/composer Michael Brown a 2018 Emerging Artist, one of a select group of rising young talents associated with Lincoln Center’s eleven resident organizations. 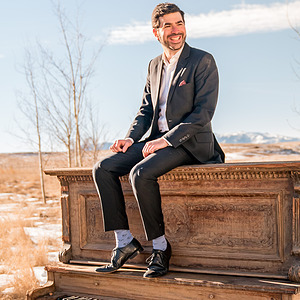 Michael Brown is featured as piano soloist with the Seattle Symphony in Olivier Messiaen’s Trois petites liturgies de la Présence Divine on that orchestra’s latest CD, released August 18 on its own label, Seattle Symphony Media. Canellakis-Brown Duo Release Debut Album on CAG Label!